“New year, new me” is the mantra for many New Year’s wellness resolutions: join a gym, go on a diet, lose weight, get healthy! While the New Year’s magazine covers typically sell resolution seekers on some dietary villain (like carbs, fats, etc), January is also a national focus month for every nutritionist’s favorite nutrition hero: Fiber. Eat More Fiber! The benefits of fiber are seemingly never-ending, but according to the Dietary Guidelines for Americans 2015, most Americans aren’t consuming recommended amounts. Daily fiber intake is estimated to be about 15g per day, which is only half of the recommended intake levels for adults (28-35g per day). This is primarily due to low intakes of fruits, vegetables, whole grains, nuts/seed, and beans/legumes. Fun Fact: Fiber is a catch all term for a lot of different types carbohydrates that we can’t digest; the health benefits of fiber depend on the types we eat. On food labels, fiber is divided into two different major categories – soluble and insoluble. 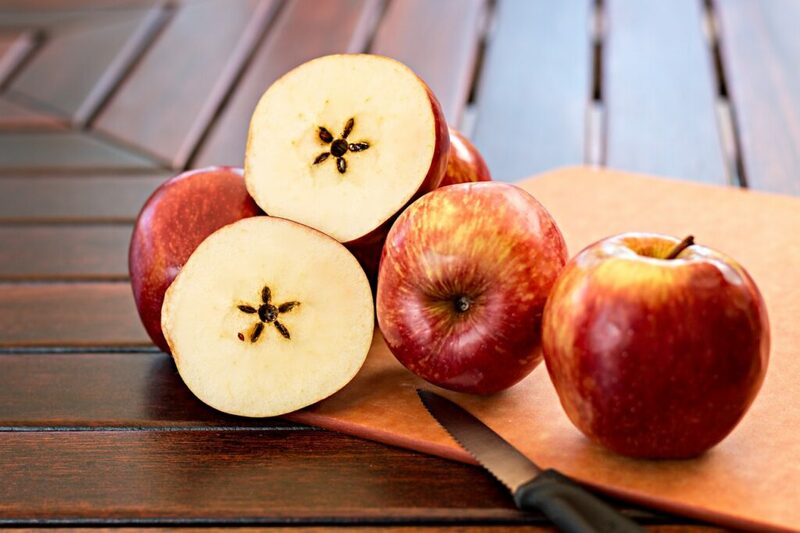 Soluble fiber is able to hold water (think of the white, inside part of the apple that holds the juice), and insoluble fiber resists absorbing water (think of the skin of the apple). Getting both types of fiber in your diet from plant-based foods is ideal for getting all of fibers’ benefits! it takes time for your gut to adapt to eating more fiber without discomfort. Watch out for ‘high fiber’ cereals and bars! Some of these in the diet are okay, but they contain added fibers that can cause significant gastrointestinal discomfort. Did You Know? Popcorn is one of the top sources of dietary fiber intake in America! Choose popcorns with less added sodium and fat for a healthy, fiber-filled snack.